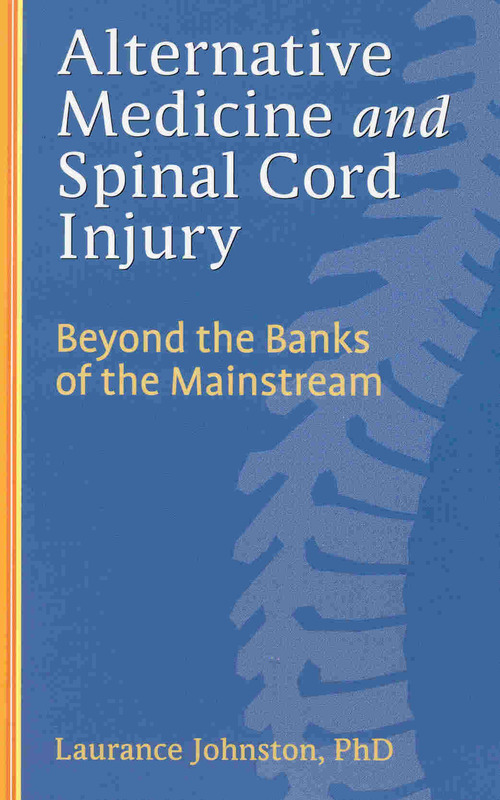 Here is a comprehensive overview of many approaches, all of which can be at the very least stress reducing and often of rehabilitative benefit to those with spinal cord injuries. My congratulations to Dr. Johnston on a very excellent work. Anyone who tragically gets a spinal cord injury should have this handed to them by their loved ones the same day. If they don't get it, it's scary what they're losing. Sam Biser, Author, Resurrection for Souls in Broken Bodies. Laurance Johnston has pioneered in exploring a tremendous variety of alternative medicine approaches which may have benefit for those with physical disabilities and debilitating medical illnesses. This book provides an invaluable survey of these approaches to wellness and healing which fall outside of mainstream western medicine in an attempt to build a bridge between eastern and western medicine. Rather than viewing these fields as either/or, why not consider using the best of both worlds. Thus, this book gives both professionals and those living with disabilities the opportunity to build such a bridge in their own lives. Roberta B. Trieschmann, Ph.D., Author: Spinal Cord Injuries: Psychological, Social, and Vocational Rehabilitation and Aging with a Disability. During my ten years of medical practice caring for other people with SCI, and over 25 years living with my own injury, I have encountered a broad spectrum of literature on the subject. Dr. Johnston’s book stands out as truly unique: His impressive scientific credentials, and thoughtful, non-judgmental approach allow him to take the reader on a highly credible exploration of treatment beyond the confines of traditional Western SCI medicine. Indeed, his intriguing compilation of evidence from around the world challenges some of our most basic assumptions about medicine and physiology in general, beyond its message of hope for people with SCI. Highly recommended as the most comprehensive and practical introduction to the subject, for patients, physicians, and interested others. Edward C. Nieshoff, MD, Medical Director, Spinal Cord Injury Services, Rehabilitation Institute of Michigan. As a scientist and former senior government policymaker with a spinal cord injury, I find Dr. Laurance Johnston’s review of various alternative and complementary therapies to be highly informative and thought provoking. His exploration of treatments for SCI extends well beyond traditional Western medicine. This wider range of therapies allows us to make more informed decisions about our own health care. His ability to distill the essence of these often complex treatments into interesting and easily understood essays makes for compelling and thought provoking reading. (5 stars) "I was not expecting the unbiased, extensive and well researched information this book offers. When I first received it, I put it aside until about a month later and then decided to check it out. I was very surprised. It is a good reference book for everyone who has interest in alternative methods regarding maintaining good health or correcting health problems. I purchased it because a family member deals with paralysis but found that everyone can benefit from the information it offers."